Joe Mellor and former Bradford winger Patrick Ah Van scored hat-tricks to help Widnes keep their Super League survival bid on track with a comfortable 56-12 victory at Odsal. The Vikings overcame the Kingstone Press Championship runners-up with three first-half tries, followed by seven unanswered scores. The Bulls replied with tries at either end of the opening stanza but struggled to keep up with the pace and power of their Super League opponents as the game wore on. It was the Bulls' first home defeat in the Qualifiers and only their second at home all season. Two tries from Mellor and one from Ah Van were sandwiched in between scores from Adrian Purtell and Omari Caro to leave the Vikings 14-12 ahead at half-time. But further tries from Charly Runciman, Mellor, Hep Cahill, Ah Van (two), Rhys Hanbury and Kevin Brown made the second half largely one-way traffic. Ah Van signalled what might lie ahead when going close to scoring in the corner in the opening minutes as Widnes tried to stamp their authority on the game from the off. 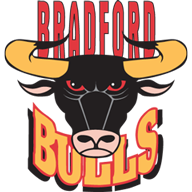 But, after the Bulls weathered a nervous start, they went ahead when a James Clare break split the defence and several passes later Jake Mullaney had put Purtell over for the opening try. Danny Addy landed the first of his two conversions, but within minutes the Vikings hit back when a high Brown kick was not dealt with and Mellor swooped to score. A Brown 40-20 soon had the visitors on the attack once more. And it was Brown again who supplied the long, cut-out pass to put Ah Van in at the corner and give the visitors the lead. Within two minutes Mellor claimed his second after supporting a Chris Clarkson break and, having skewed his first two conversion attempts wide, Lloyd White made no mistake with the third to give Widnes a 14-6 advantage. As the Super League outfit pressed once more and with just seconds of the first half remaining, Caro intercepted a stray pass and ran 90 metres under the posts to get Bradford back in the game. Addy's conversion closed the deficit to just two points at the interval. The game began to get away from Bradford in controversial circumstances just after the restart. 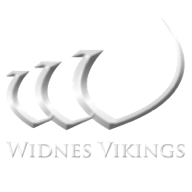 A Purtell pass to Matty Blythe, deep in his own half, was called forward and within seconds of the resulting scrum, Runciman forced his way over for his sixth try in four games for Widnes. With the home supporters still up in arms, Mellor thumped a high bomb into the Bulls' 20 and, as it bounced wickedly for fullback Clare, the Vikings scrum-half collected his own kick to score again and complete his hat-trick. Danny Tickle landed the second conversion, then added a penalty to give the Vikings breathing space at 26-12. Aaron Heremaia sent Cahill through the hole to virtually seal the Vikings' third win out of four in the competition, Ah Van, Hanbury and Brown adding further late tries to complete an ultimately comfortable victory.